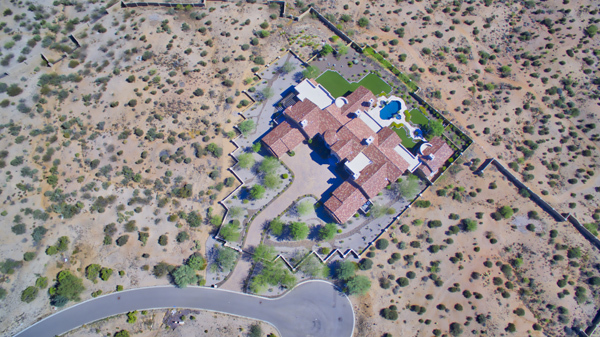 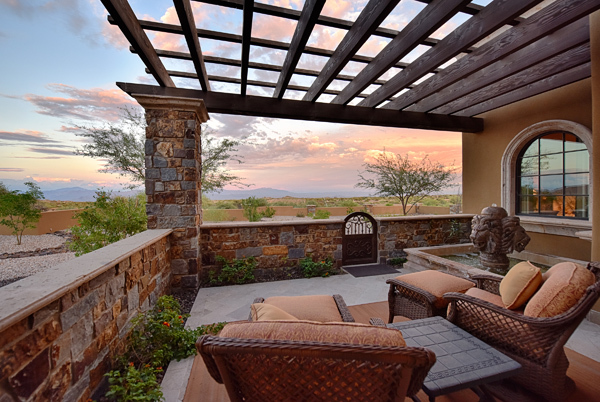 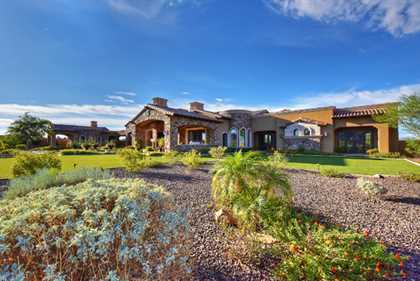 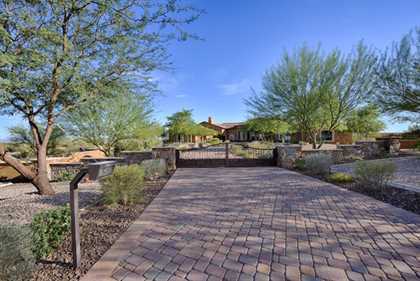 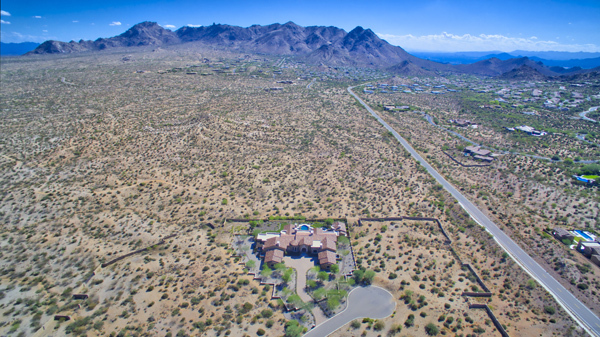 After years of looking for the perfect home site, the sellers of this residence built upon the perfect spot within the exclusive gated community of Cantabrica with inspiring mountain views and privacy. 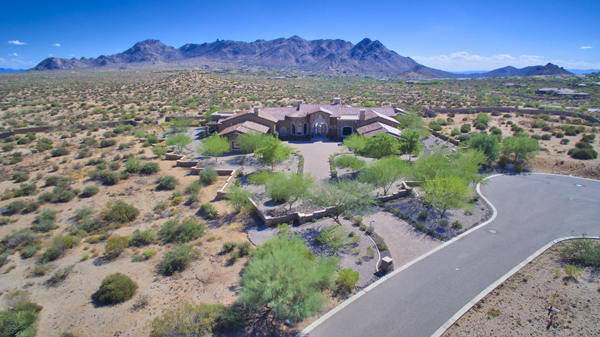 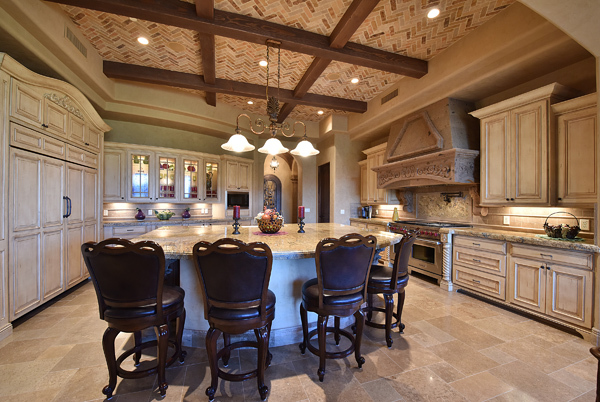 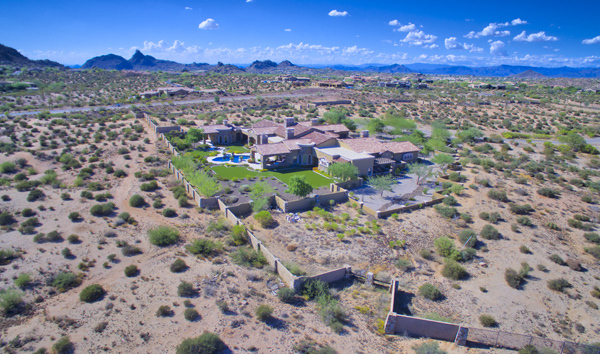 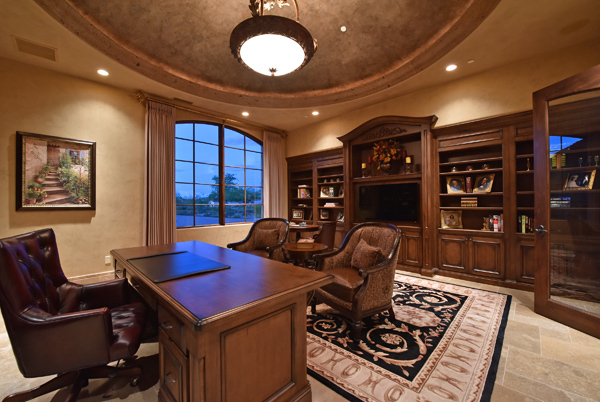 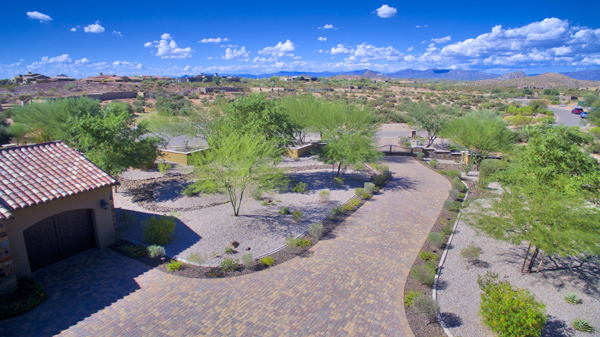 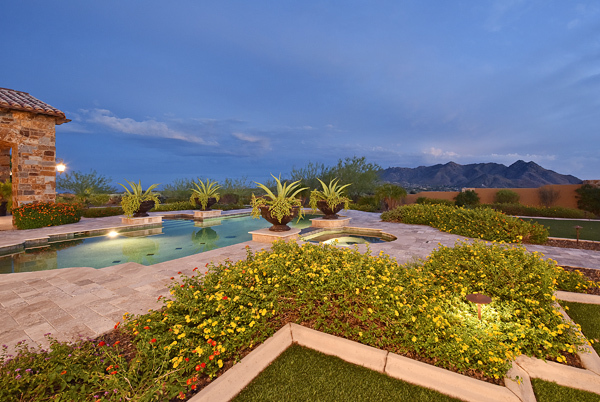 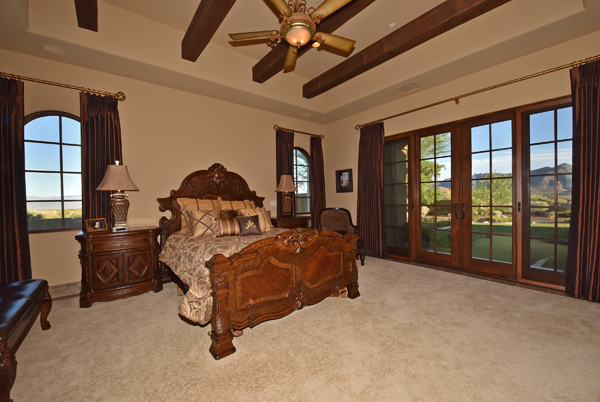 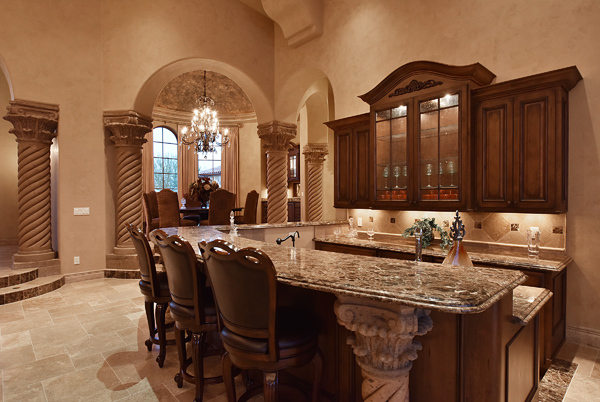 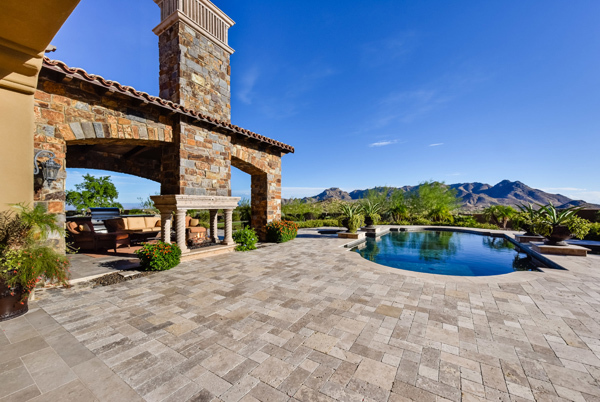 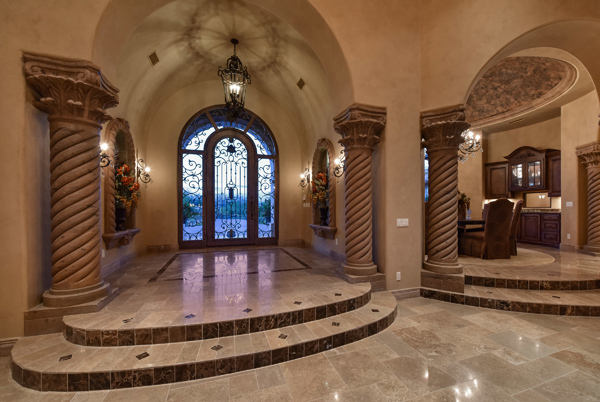 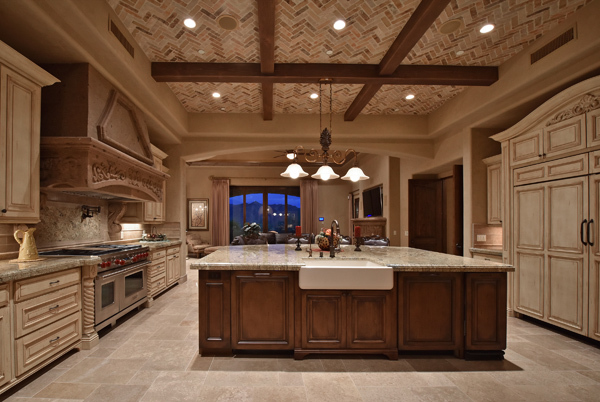 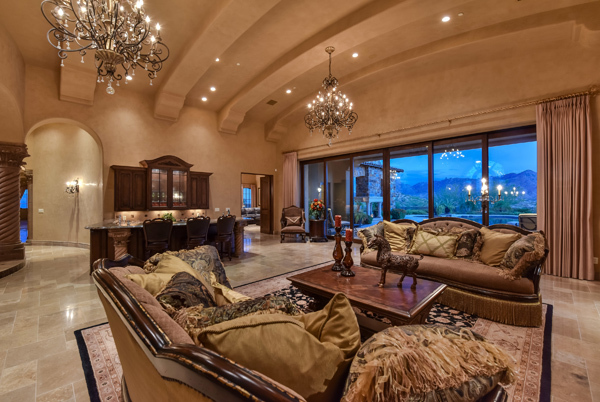 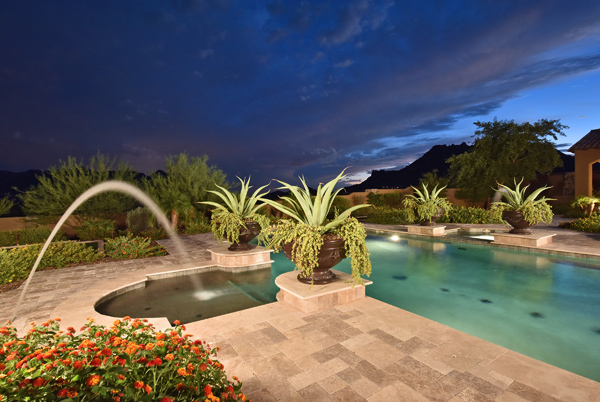 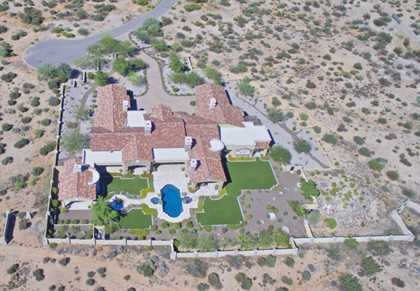 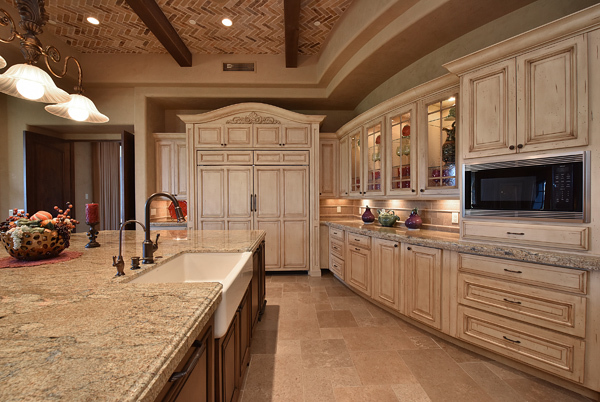 With focus on every detail, the quality of care, craftsmanship, and finishes were brought to fruition in 2013 by renowned Dennes Mikalacki of Red Rock Custom Homes, creating an exquisite private retreat capturing the desert surround, and sweeping mountain views. 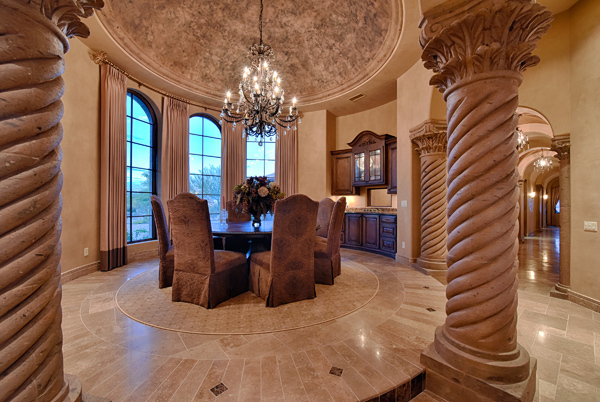 Room by room, the interior is accented with tasteful use of travertine flooring, cantera fireplaces and pillars, venetian plaster, custom light fixtuResincluding imported jewel like chandeliers, ceiling treatments ranging from bricked domed to groined vault to hand hewn cross beams, custom waterworks and behind the walls, the best of technology making this a smart home. 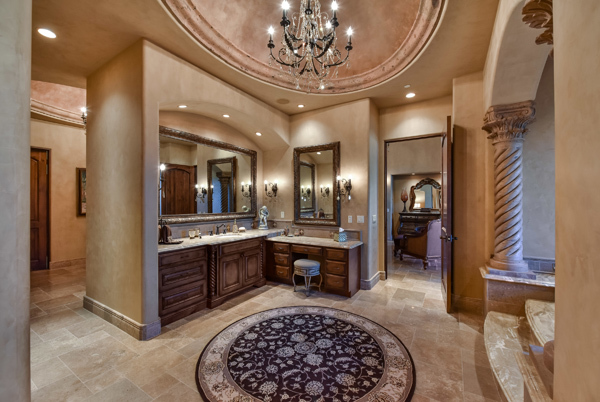 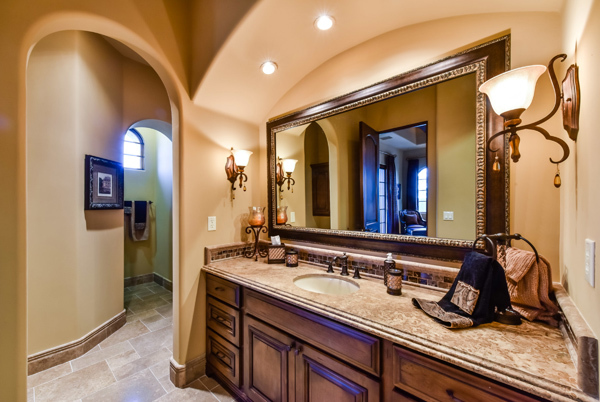 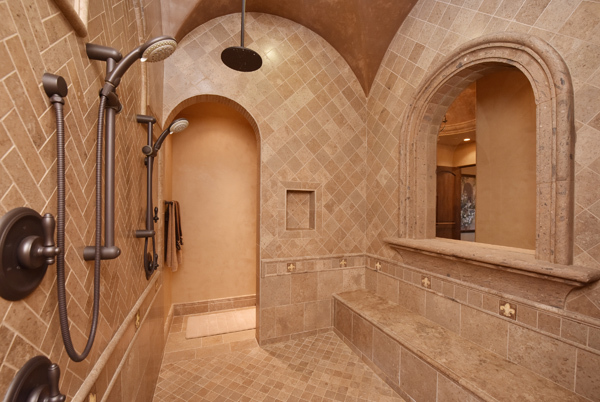 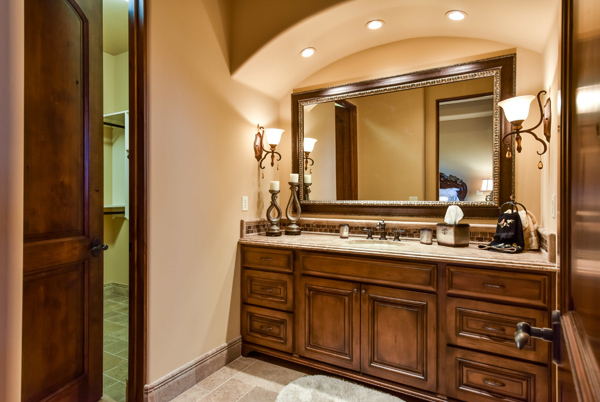 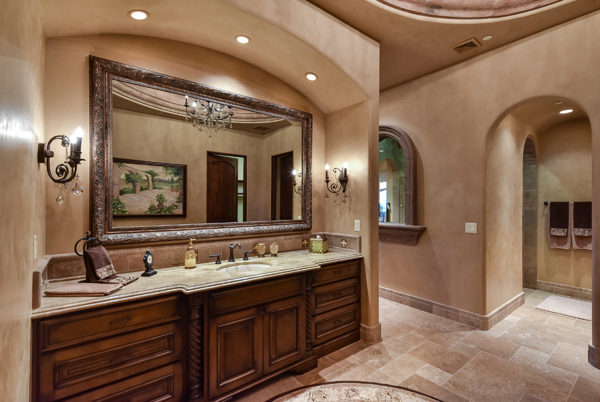 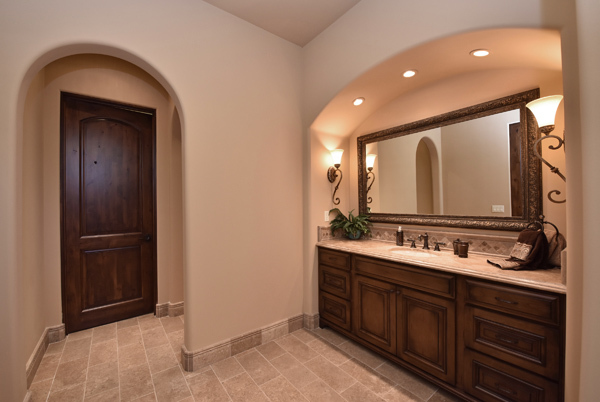 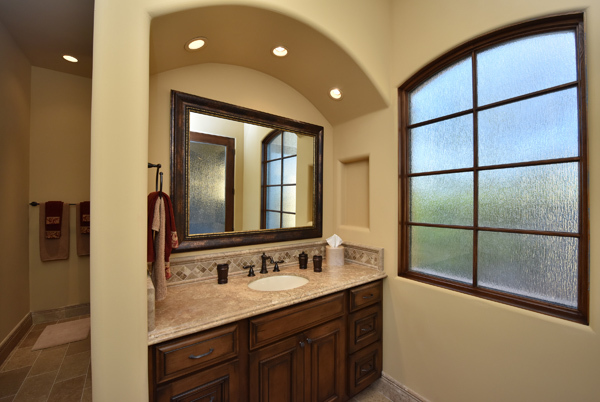 Each of the main home’s 4 bedrooms all ensuite with private travertine bathrooms, walk-in closets, and access to patios. 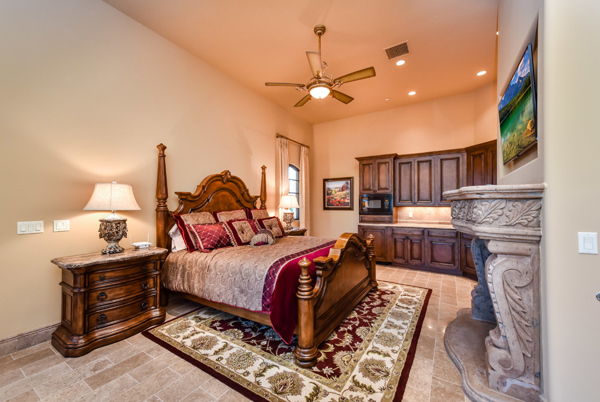 The master suite offers a private seating area, dual walk-in closets, resort styled bath area, and adjacent executive office. 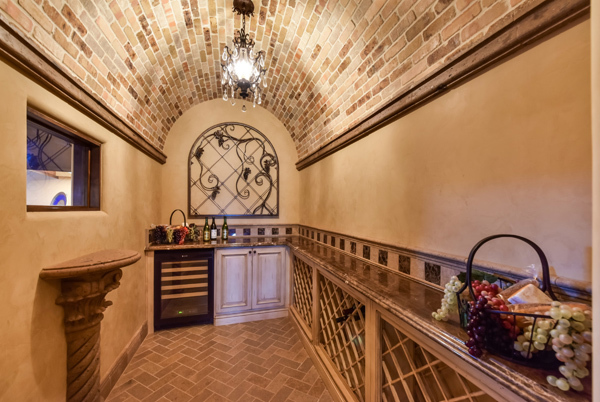 A separate guesthouse finished in the same manner as the main home and can double as a pool house boasts its own kitchenette, full bath, and sleeping area. 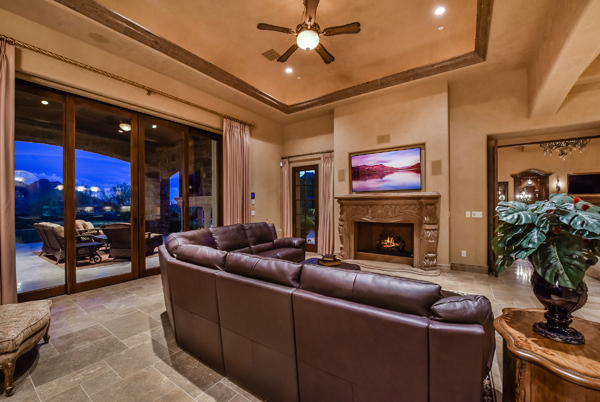 Back in the main house, the living spaces provide exceptional entertaining spaces for large and small gatherings beginning with a spacious great room that expands to the outdoor living area through mechanical pocket doors framing the mountains and yard. 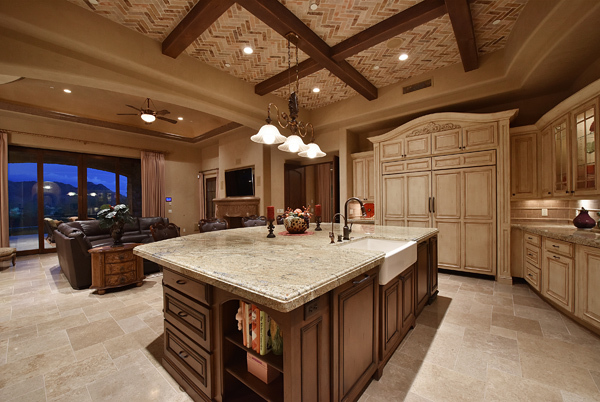 A full size bar area completes the great room before flowing towards a rotunda formal dining area. 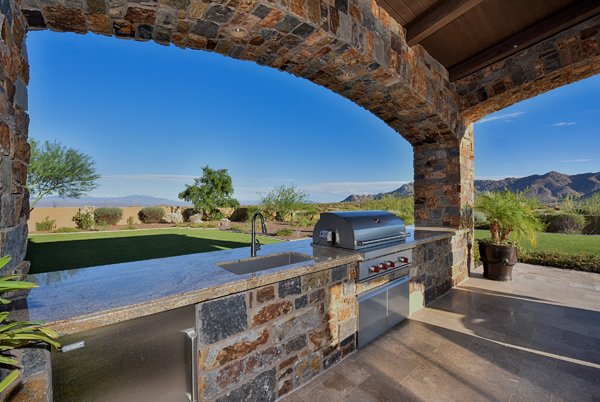 A chef’s kitchen is outfitted with Viking appliances including an 8 burner hooded gas range, commercial sized side by side Subzero freezer and refrigerator, custom island with prep space, farm sink, and breakfast bar. 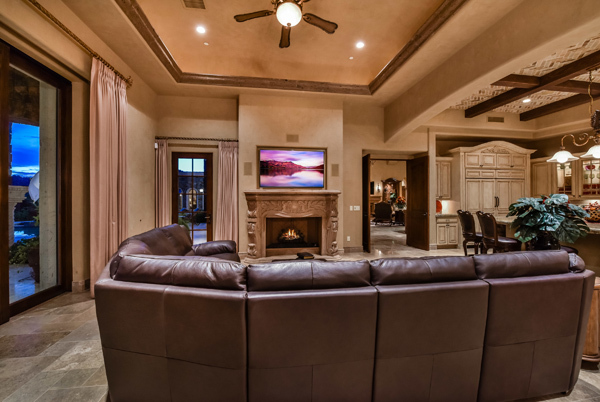 For casual gatherings, the family room opens off the kitchen with French door leading to a covered patio with a built-in outdoor cooking station and dining area complete with a tranquil water feature. 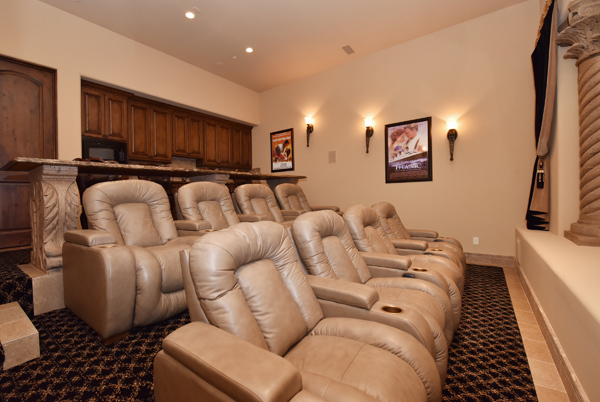 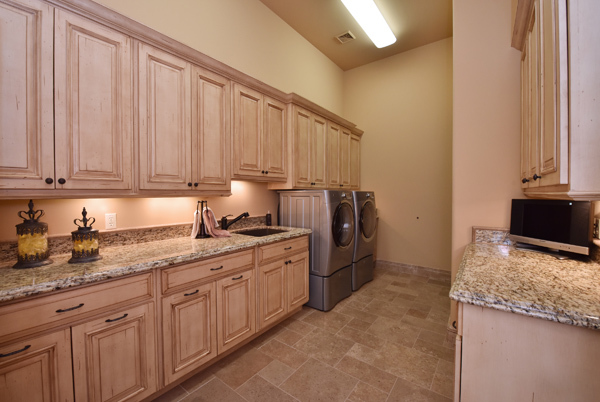 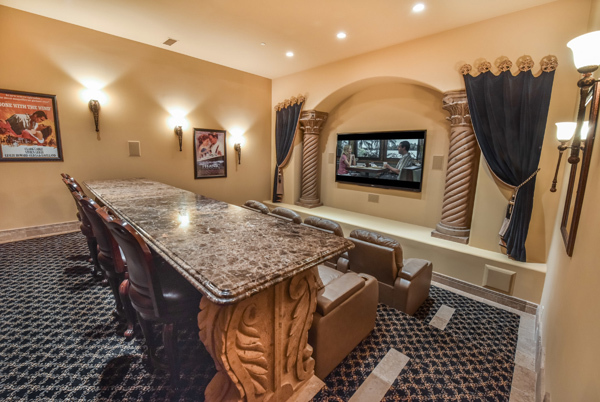 A media room is fully amenitized with audiovisual equipment, theater seating, screen, and kitchenette. 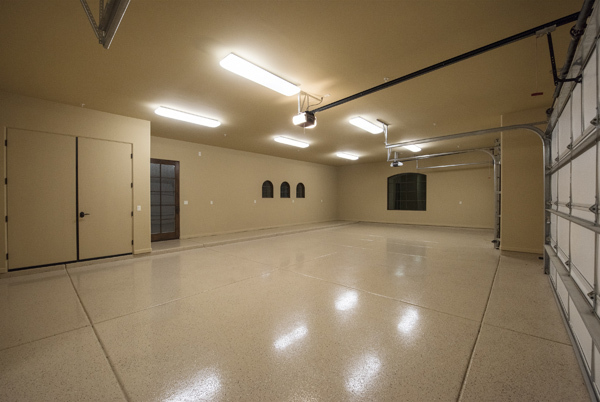 An added bonus to the home is 6 car garages under 2 bays. 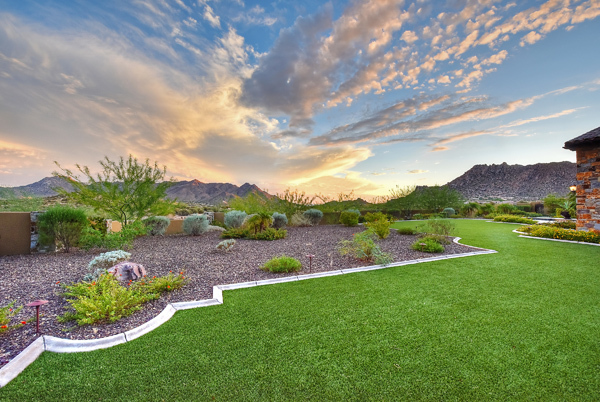 The home site on 2.54 acre, designed with a south facing yard to be enjoyed year round and protected by generous NAOS. 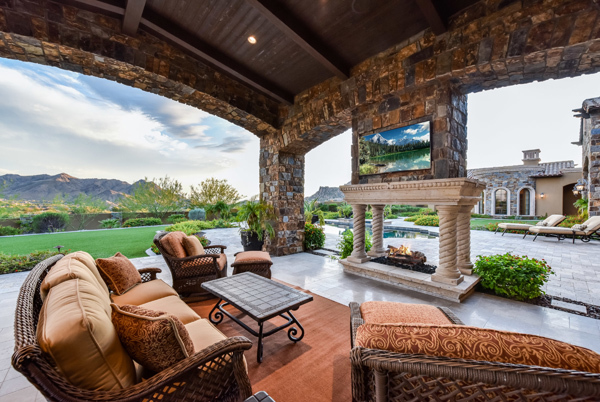 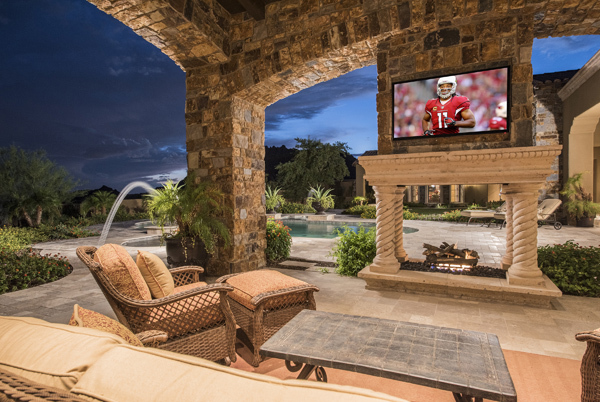 A ramada style covered patio boasts hand hewn plank beams, travertine stone flooring, and an open style fireplace with exposure on all 4 sides. 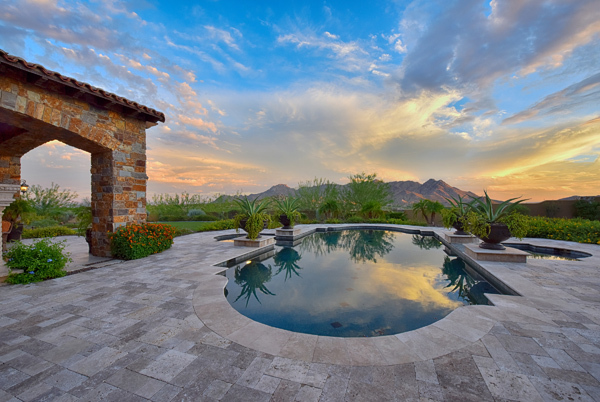 The travertine patio expands from this area to surround the heated pool and spa with both water features. 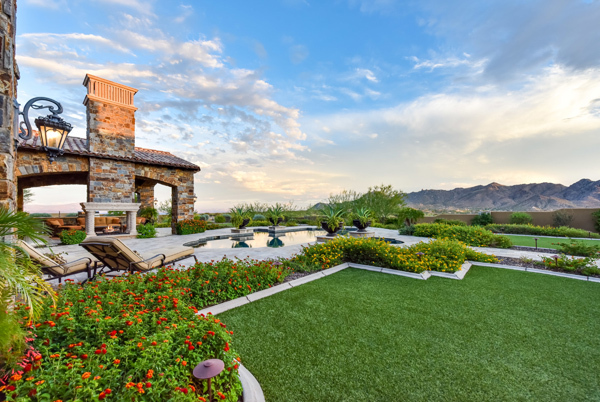 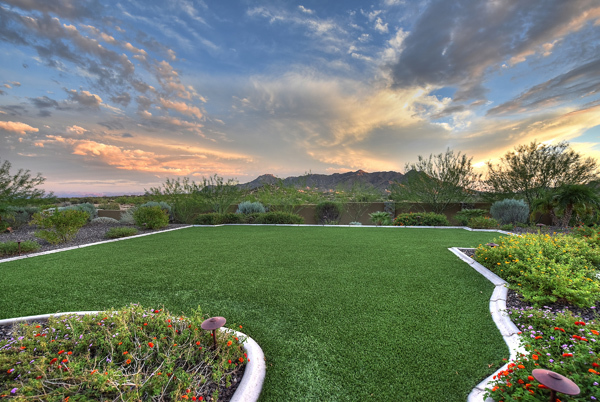 The yard expands out to a grass lawn appointed with garden-like landscaping. 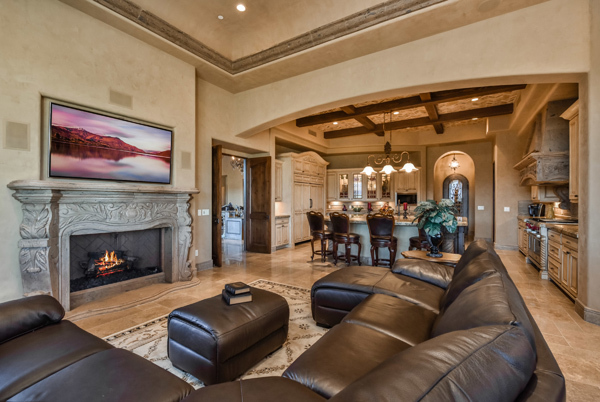 The outstanding setting, impeccable design and finish along with a feeling of escaping, this estate style home is impressive, private, and simply the best, all within a short distance to golf, hiking, equestrian facilities, shopping, and dining.